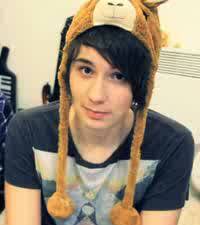 W/ hat. . Wallpaper and background images in the danisnotonfire club tagged: dan howell awesome hat danisnotonfire youtube. This danisnotonfire photo might contain picha, headshot, and closeup.